Vitamin B12 is a water-soluble vitamin that is stored in the liver. 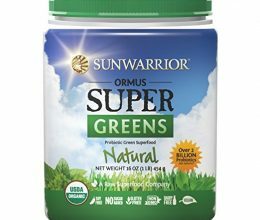 It is an especially important vitamin for maintaining healthy nerve cells and it aids in the production of DNA and RNA. Cell division and blood formation does not occur without Vitamin B-12. It is of special interest to vegetarians and vegans since it is not found in any significant amounts in plant foods. Deficiency of Vitamin B-12 is a serious health issue and should not be taken lightly. In combination with folic acid and vitamin B6 vitamin B12 may serve to control homocysteine levels. 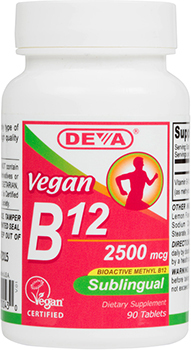 * DEVA Sublingual Vitamin B-12 contains 100% Daily Value of Folic Acid and Vitamin B-6. Many people as they age will be unable to absorb the Vitamin B12 benefits found in foods. This is because stomach’s production of acid tends to decrease. It is this stomach acid that is necessary to break Vitamin B12 away from the proteins in food. This process must happen first before Vitamin B12 can bind with what is called intrinsic factor in our small intestines before then being absorbed. Vitamin B12 is highly beneficial in various forms but DEVA Sublingual B-12 contains only one form: Methylcobalamin. 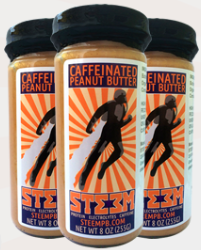 Methylcobalamin, the coenzyme form of vitamin B12 is a body-friendly version, which means that no metabolic steps are required for its ingestion and it can be used it in its normal form. 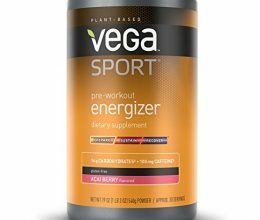 Our product comes as a sublingual tablet that dissolves under the tongue so the vitamin B12 can directly penetrate the bloodstream and yield its benefits. Each sublingual tablet provides 1000 mcg (16,666% of Daily Value) to ensure adequate intake. Tablets are pleasant tasting and dissolve in a short amount of time. 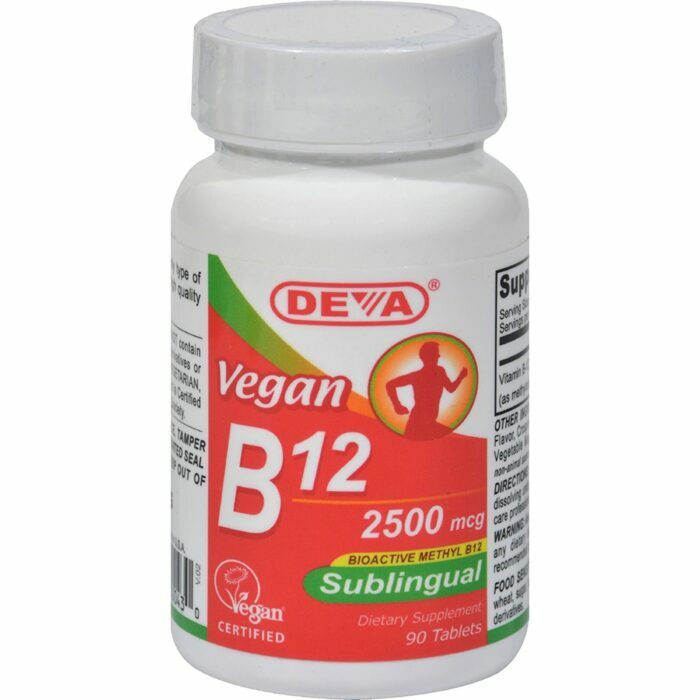 DEVA Vegan Sublingual B-12 is 100% animal free, and guaranteed for purity, freshness and labeled potency. 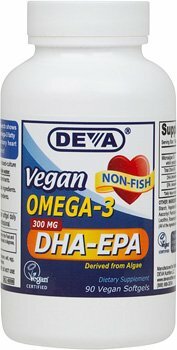 Remember all DEVA Products are 100% vegan, vegetarian and are certified by the Vegan Society, the non-profit organization that actually invented the word “vegan”. For adults take one (1) tablet daily by dissolving under tongue, or as directed by a health care professional. Free of yeast, wheat, gluten, soy, milk, egg, fish, dairy, sugar, salt, artificial color; animal products, byproducts or derivatives.